On Saturday(while I was a state away buying my new bike), a good friend pulled out in front of a car that was going much faster than she thought, and they hit her in the driver’s wheel, spinning her car and totaling it. She got away with a few nasty bruises, and her toddler in the back seat was completely unharmed, despite her car seat being twisted 90deg on its base by the impact. 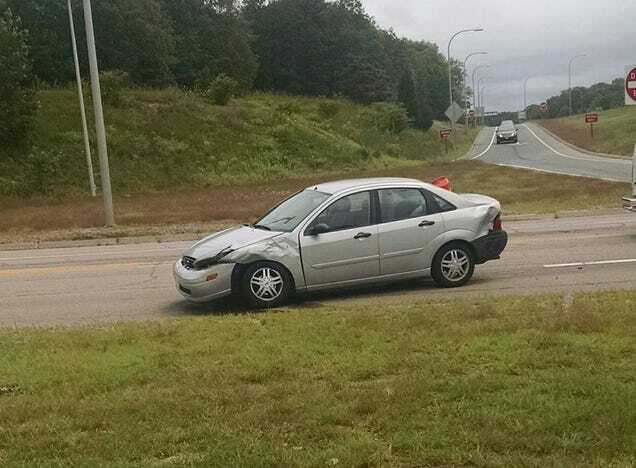 Her car however is a writeoff, and with liability only she’s unlikely to see much, if any, payout from the accident. I loaned her Box, and drove the ‘64 pickup to work. She needed safe cheap wheels fast, so off to Craigslist I went. Her only requirements were FWD or AWD & new enough to have the LATCH car seat system. 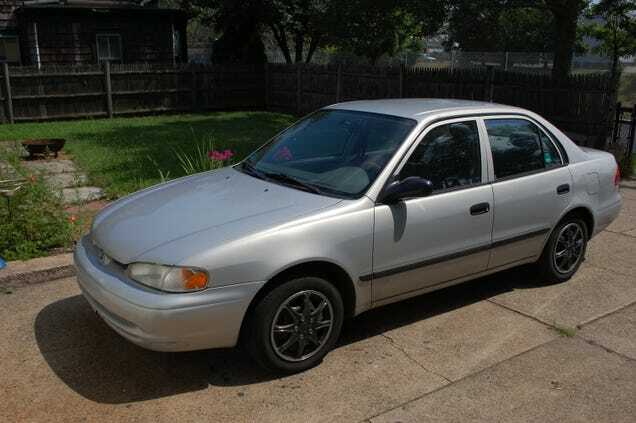 I got lucky on my first search and found this 2002 Chevy Prizm. With an auto trans and grey on grey color scheme, it is pretty damn boring. 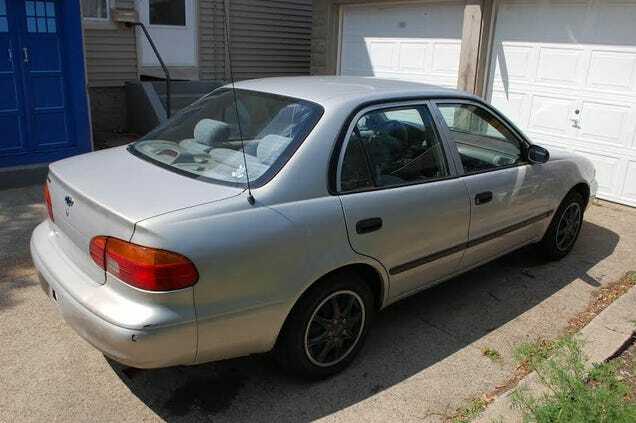 But it has only 162K, everything works including the a/c, there is little rust, and I got it for all of $1100. Both she and I would have loved to get her something more interesting, but sometimes life doesn’t give you much choice in the matter. At least it is better(and newer) than the turd of a Focus she got from her ex-husband, and should be reliable enough to let her save some money for something nicer down the line.